Today is the first day of summer vacation for my kids, which means it’s also the first day of all of my heroically awesome summer plans as a mother. It’s the day I proudly present my epic chore chart to keep them working and responsible all summer and make sure our house doesn’t turn into a hazmat zone. It’s the day I organize the pantry into easily-accessible snack bins so my kids have healthy choices at their disposal. It’s the day I sharpen the brand new pencils and bust open the summer workbooks I bought so they don’t forget all that weird math I don’t know how to help them with, and it’s the day I break the news that they will have very limited video game time as they explore the great outdoors and make summer memories. And then there’s tomorrow. Tomorrow is the day we sleep in until 10:30, wear pajamas until 2pm, eat fruit snacks and otter pops for every meal, play video games all day, and wonder what happened to that chore chart thing someone made. If you think you just might at any point this summer need something to break up the routine, then this post is for you. If you know us, you know that Kate and I are not about complicated labor intensive structured kid activities. But we do really love quick and easy stuff that just might lend you a few extra minutes to sit and drink a dirty diet Coke while your kids engage in something other than otter pops consumption. Here’s 10 of our very favorites! 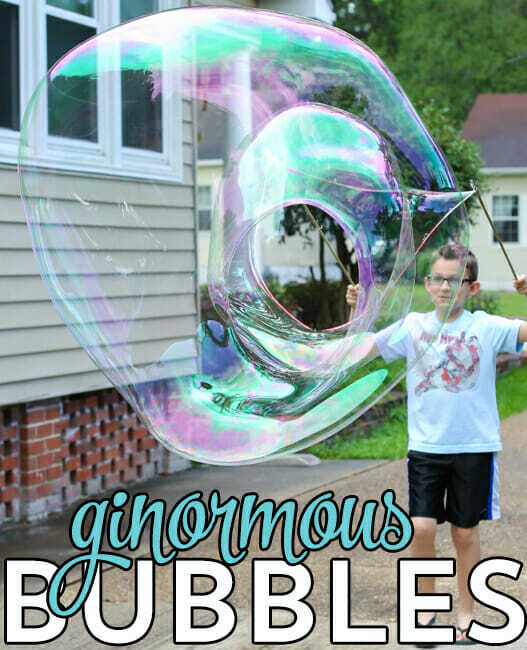 Giant Bubbles: We have been doing these non-stop at our house lately (and not just the kids!) We make a big bucket of bubbles almost every time we have friends over. Check out this post for the magic recipe. It’s worth getting the weird ingredient on Amazon and that bottle will seriously last you forever! Short Cut Tie Dye: Last summer I made the mistake of trying real tie dying and I quickly realized that tie dying as a kid is much different than tie dying as the parental supervisor. 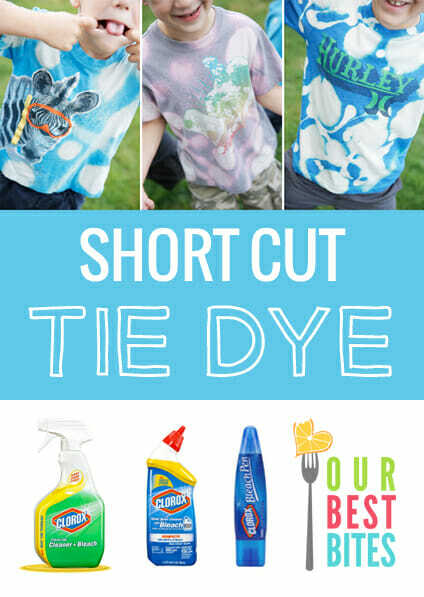 This short-cut version is the lazy mom’s tie-die (or maybe the brilliant mom’s?) Grab some old t-shirts, some rubber gloves, and head out to the lawn. 2-Ingredient Silky Playdough: I had never heard of this combo before Kate posted it a while back and it’s our new favorite. Use a cheap coconut-scented conditioner and I guarantee you’ll find yourself stress-relieving with it long after the kids are done playing. 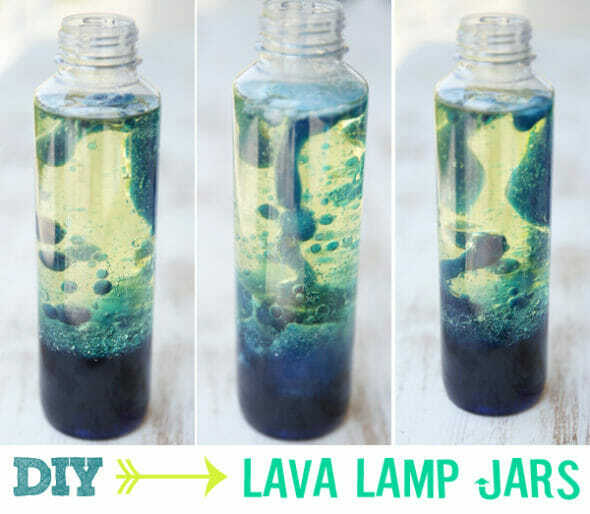 DIY Slime: I’m a mom to 4 boys so I always perk up with words like “slime”. Yes it contains Borax. No you do not need to link articles telling me I’m a bad Mom for using soap in our science experiments. No you should not eat it nor let your kids eat it. 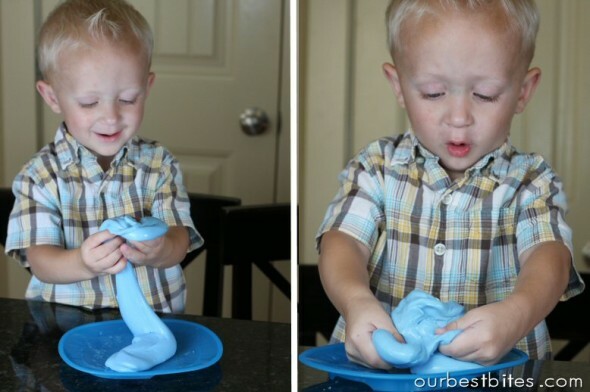 It’s just a fun experiment and it results in gooey fun slime! I made this as a kid, all 3 of my older boys have made it with their teachers at school, and we make it at home. We love our slime. 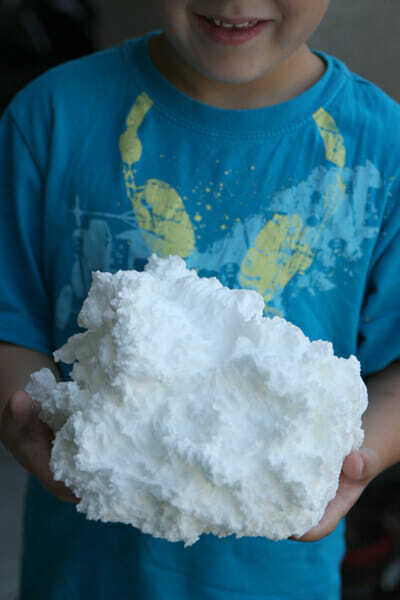 Microwave Soap Cloud: This is the absolute most popular kid activity post on our blog. It takes just minutes, but it’s a crazy fun experiment and I’m sure you could turn it into some sort of science lesson if you’re into that sort of thing. DIY Lip Gloss: If you have little girls, they’ll especially love this fun craft. Let them design their own labels, pick their flavors, and share with their friends. 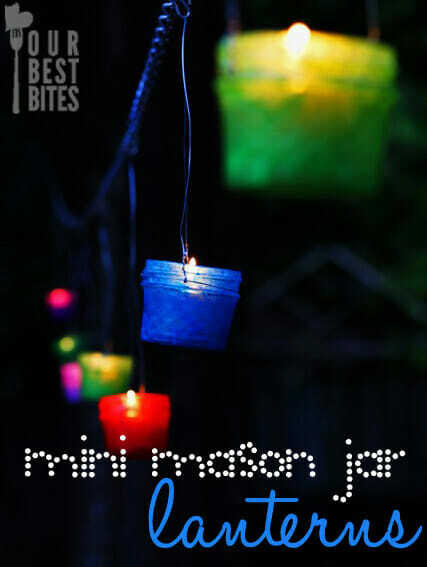 Easy DIY Mason Jar Lanterns: One of my favorite things about summer are the summer nights, and nothing makes summer nights more magical than little glowing lights. The kiddos will be amazed when they see their project light up. 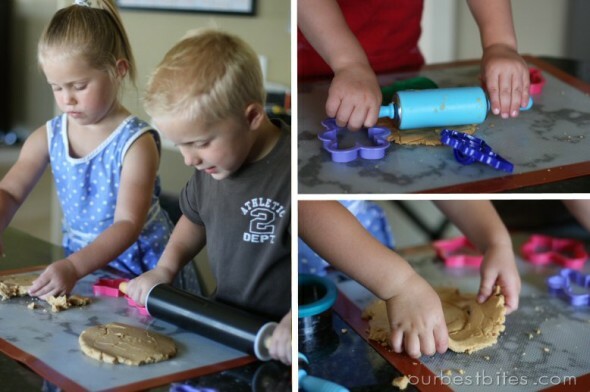 Edible Peanut Butter Playdough: Looking at this post makes my heart swell. That’s my oldest son who’s 9 1/2 now! 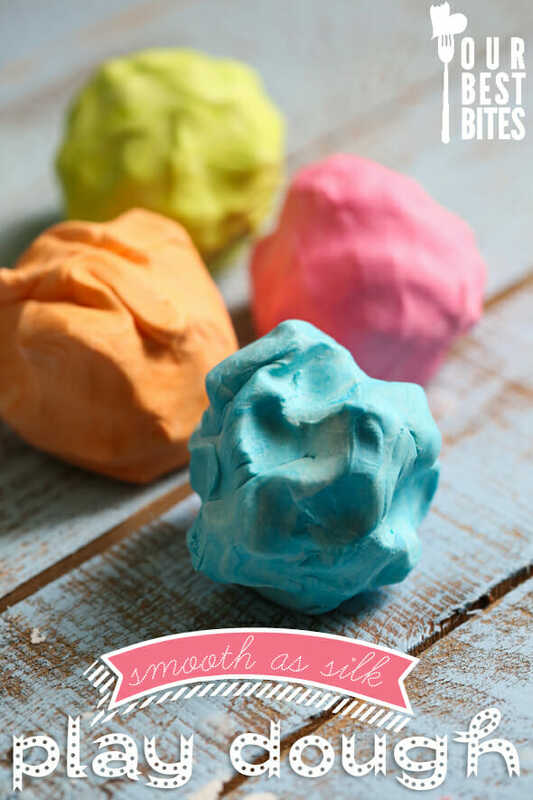 We’re still making this fun playdough on occasion and my kids miiiight spend more time eating it than playing with it, but whatever. Forward this to your favorite Momma and do yourself a favor and pin this post (just hover over the image and the Pin button will pop up!) and when you’re about to crazy this summer (you know it will happen at some point) pull out this little bag of tricks and make that dirty Diet Coke. Thanks for reminding us of these great posts/ideas. These fun things should definitely keep the kids busy/happy this summer. Great post! 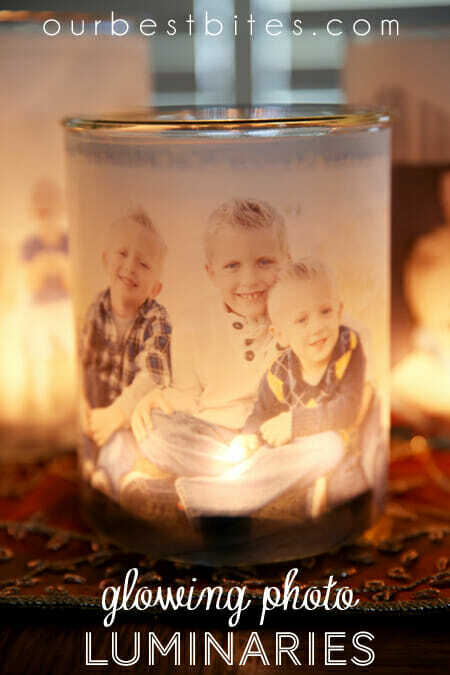 We have done a lot of these crafts in the past, but there are a few new ones we’ll have to try. Thanks for the reminder. I love your description of the 1st day of summer and the 2nd day of summer. Ours is all out of whack this year because we moved to a strange new place where my older kids and my younger kids are not on the same schedule. So my 12- and 15-year-olds are having their first day of summer today but my elementary kids won’t be done until next Friday. So i’m saving my grandiose plan to unveil when everyone is home. This seriously made me laugh right out loud;!! ;) we’re trying the backwards method this year with a few days for my kids to do whatever the heck they want, and then we’re getting all structured next week. . . yeah. . . we’ll I see how long it lasts;) thanks for so many great ideas!!! I’m interested to know what kind of healthy snacks you have in those bins for their snacks – I’d love some ideas to help my kids eat healthier! These are all such wonderful ideas — thank you! On a side note (and I really hope this doesn’t come across as offensive or snarky), but implying that some crafts are gender-specific seems odd. My son (and daughters) loves making lip gloss and slime is pretty universally awesome. Again, I love your site and positive attitude and wanted to give that feedback. Thanks. Oh how I love you! This is our exact summer experience every. single.year! Thank you for being real and being really smart! Next Post ❯ Next post: Connect with Our Best Bites!